Lee Jong-hyun and Kim So-eun are falling in love this spring. 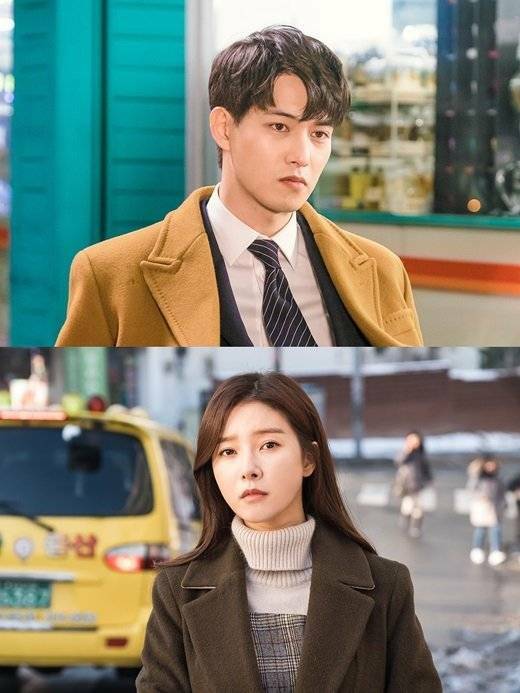 The new OCN drama "That Man Oh Soo" begins on the 5th of March and it's about a modern day Cupid named Oh Soo (Lee Jong-hyun) and Seo Yoo-ri (Kim So-eun), who is clumsy when it comes to romance. Lee Jong-hyun takes on the role of the modern day Cupid, Oh Soo. He has the mysterious power to read emotions through the color of the air coming from a person's head, but he's terrible with love himself. Kim So-eun is Seo Yoo-ri who is dumped by her boyfriend. She's loyal and can't stand injustice. She loves to meddle with people's business and bickers with Oh Soo about everything. The two characters are completely different from each other, but eventually they will have a romantic story of their own. Lee Jong-hyun is a rising idol-actor who did an excellent job in "Girls' Generation 1979" and "Orange Marmalade". Kim So-eun is also known for the performances in "My Gap-soon", "Scholar Who Walks the Night" and more. Meanwhile, "That Man Oh Soo" is directed by Nam Gi-hoon who has a knack for romantic comedy and is written by Jung Yoo-sun. The first episode begins on the 5th of March. ""That Man Oh Soo" Lee Jong-hyun and Kim So-eun's Romance "